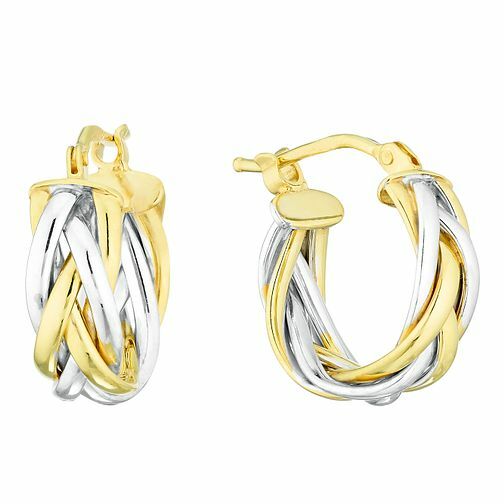 With a distinctive multi-layered design, these creole earrings from The Gold Collection have been made with 9ct White and Yellow Gold, and a plaited look that creates more volume and definition. 9ct Yellow and White Gold Creole Earrings is rated 4.5 out of 5 by 2. Rated 4 out of 5 by Anonymous from Lovely earings These earrings are lovely but unfortunately I returned as I had bought for someone younger and I thought they were a slightly older style. Exchanged for something more appropriate. Rated 5 out of 5 by Anonymous from The earrings look fantastic and are of a good quality The earrings are fantastic. They arrived very promptly and were in the sale! Result!